Everyday, Cambridge Corporate Services manages the logistics behind the handling, screening and delivery of thousands of pieces of mail. Our clientele range from Fortune 100 firms with sensitive mail contents to Fashion Icons with priceless materials. 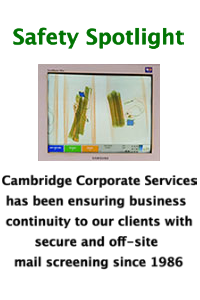 Cambridge Corporate Services can provide pick-up and drop off location services as well as re-routing to our off-site location to provide secure mail screening. Cambridge has decades of experience handling the mailing services for financial institutions, corporations, fashion, law, universities and more. As the leading the leading corporate mailing services provider in the Tri-State Area, Cambridge will maximize your mailing efforts through a combination of managerial experience and innovative automated mailing, and scan and capture imaging. 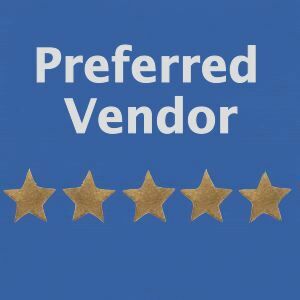 Our technology has the ability to be applied internally as an on-site provider to your mailing needs or can be routed to our state of the art off-site screening center. With a convenient Manhattan location cambridge can provide secure off-site mail screening to ensure the removal of disruptions to your business. Greater volume equals lower cost. This is the law of mailing, regardless if it is first-class or standard, flats or letters, the more mail combined together in one location for drop shipment, the greater the USPS discount. Cambridge uses the latest technologies to ensure the highest postal performance and provide a more predictable and timely delivery of your mail. Pre-targeted mailings have always been exponentially more effective than mass mailings. Having and up to date and quality campaigns is successful to results and cost. Cambridge Corporate Services will manage and implement the effective update of mailing campaigns to ensure duplicate removals, update incorrect records and improve proper recipient receivables. Ensure your mailings are designed and constructed in adherence to the latest postal guidelines to provide maximum cost savings. By collaborating with our postal specialists , minor changes that will go unnoticed by your audience can have a profound effect on cost savings and ultimately campaign ROI. Slight changes to your corporate mailing services can have a grand effect on costs and efficiency. Many organizations have made a business decision to process mail internally at their facility. While there are certain benefits to this approach, one of the major challenges is amassing enough volume to gain maximum postage savings. Working with Cambridge will allow the safe transportation to our secure off site mail screening facility where your mail can be processed with others, which allows for drastic savings. Cambridge is increasingly bringing all our clients mail back to our secure, state-of-the-art facility in New York City and processing it for maximum USPS discounts. 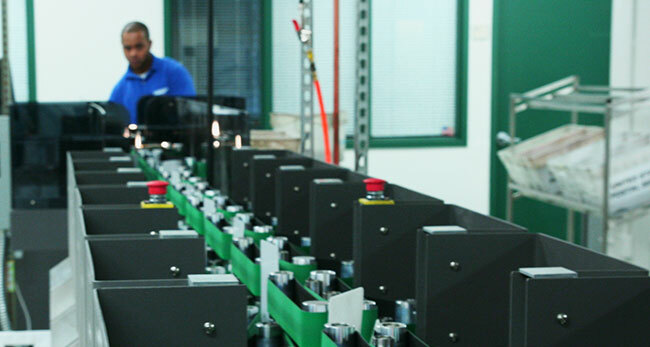 We then internally handle these high volumes with Tritek Automated Mail sorting machines increasing delivery times.